“The OASIS Fly Fishing program saved my life", says Dan Young a 2014 graduate of the OASIS adaptive sports, Fly Rod Warriors program. Dan served in the 10th Mountain, 187th Infantry and is a veteran of Somalia & Afghanistan. He suffers from anxiety after returning home from war. However, when he's fly fishing he doesn't think about those bad days. 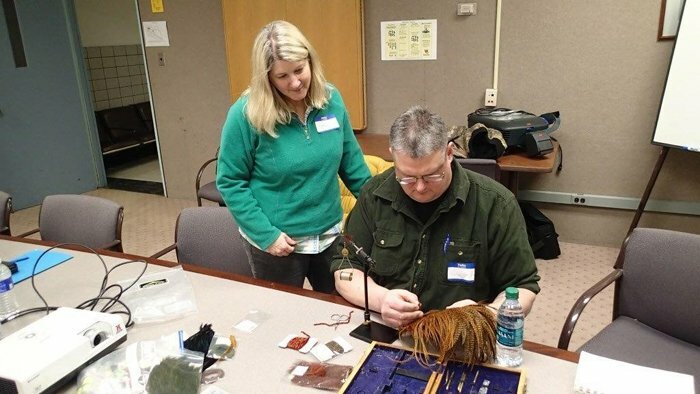 This year Dan Young is no longer a participant of the OASIS Fly Fishing program, held at Eastman Business Park, he has now transitioned to a full time volunteer. 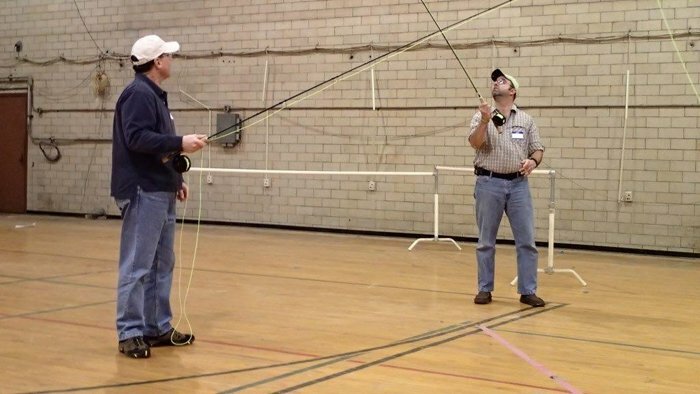 This time around he's helping the other OASIS vets learn about fly fishing and showing them by example how it can help with rehabilitation and transition into civilian life. 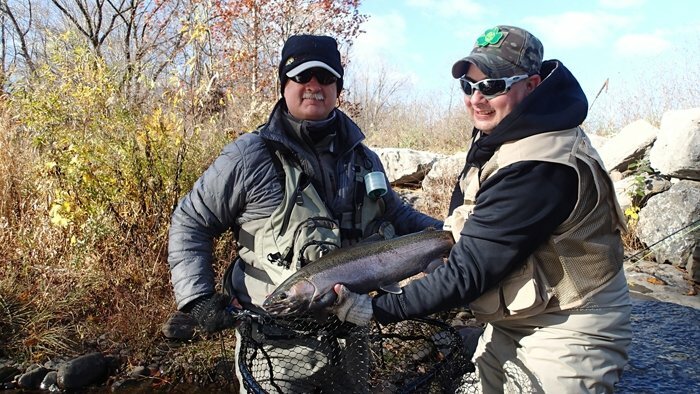 OASIS Adaptive Sports is a non for profit organization that provides wounded veterans fly fishing instruction, equipment, outings and support to help them regain their physical and mental health and aid in their transition back into the mainstream of life. Veterans use fly fishing as therapy. It helps them with fine motor skills during fly tying sessions, and overall eye, hand coordination with casting a fly rod. This year, five veterans spent the last three weekends in a classroom setting at Eastman Business Park. They've been learning about fly fishing techniques, equipment and perfecting their casting & tying skills. “We're really excited to have a women Veteran participate this year", say's Lindsay Agness. “We have a great group of vets this year and I can't wait until things warm up and we can get out fly fishing on the local streams with our new students. 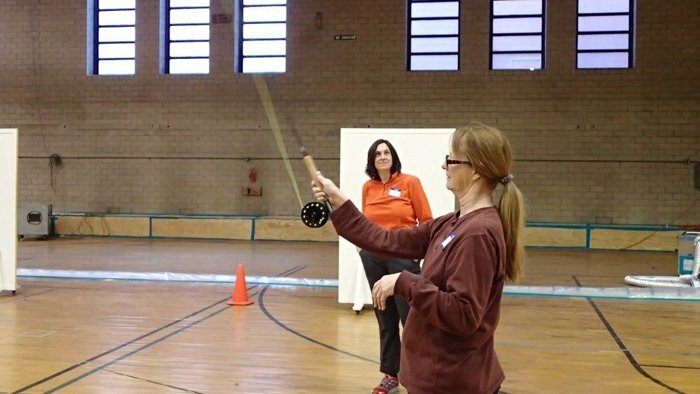 A big thanks to Kodak for letting us use the Eastman Business Park facilities!" David Agness, is a manager of Global Supplier relationships for Kodak's World Wide Information System. He is a USCG Licensed Charter Boat Captain, and guided the open waters of Lake Ontario for over 20 years. Dave is past president of the Western Lake Ontario Charter Boat Association, Former President of the Lake Ontario Steelhead Association (LOSA), and former member of the NYS Sports Fishing Council. Current member of the Federation of Fly Fishers (FFF), and Lake Ontario Tributary Anglers Council (LOTAC). Dave also volunteers his services and guides for National Veteran programs such as Project Healing Waters.